In November 2013, Typhoon Haiyan tragically struck many communities across Southeast Asia with such force that residents are still piecing back much of their lives. Towns in the Philippines, such as the town of Estancia, were especially hit hard, and months after the natural disaster, residents are still waiting on a lot of unfulfilled promises from the authorities. This project is mobilizing local residents equipping them as citizen journalists to report on the lack of progress in the reconstruction, and also share first-hand perspectives on the community's resilience. 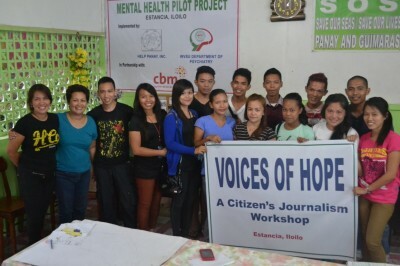 The project focuses on the participation of young people from the area, training them in citizen journalism skills, photography, and even to take part in the online radio station “Pulso sang Banwa“. Stories range from news about the ongoing mobilizations taking place to protest the slow reconstruction efforts, as well as news of other typhoons facing the region.